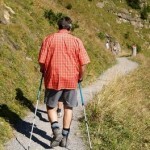 It really does not matter on the terrain a senior is walking on when he or she decides to use walking poles. 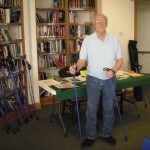 It is undeniable that walking poles really do have a lot of benefits and advantages to seniors who are using them. 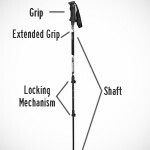 Walking poles are not just used by seniors who are going on a hiking adventure to the mountains, woods, or even around the city, they are even used by seniors on a regular basis every time they walk around. 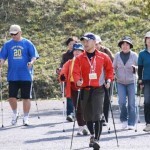 If seniors will just be able to get their hands on the perfect walking pole according to their physical condition, they can surely gain walking poles’ numerous health benefits. One of the most important muscle groups that can help seniors maintain healthy mobility is the core group muscles. Seniors who take their core muscle groups for granted have higher risks for difficulties of standing up or keeping mobile as they grow older. 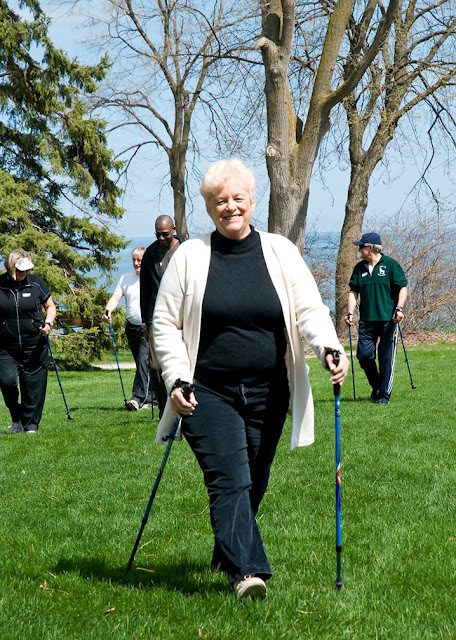 Walking poles can help and is very effective in strengthening the core group muscles by keeping and maintaining proper alignment of the spine, which engages the core muscle group with every step taken by the senior. As people grow older, the metabolism gets slower and slower, that is just part of the normal aging process. Seniors have a much slower metabolism, which makes it hard for them to maintain a healthy weight. If seniors engage in hiking activities as their form of exercise, making use of walking poles can help in increasing caloric expenditures, thus increasing their metabolism. It has been proven that walking poles used during hiking activities can increase caloric burn by up to 48% and it can also increase cardiac output by 20%, compared to hiking activities without the use of walking poles. Seniors are more prone to back pain and pain on the lower extremities. By the use of walking poles, the impact on the back and the lower extremities, specifically the knees and ankles, are significantly reduced. 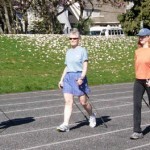 A person’s weight will be evenly distributed in every stride with the use of walking poles. 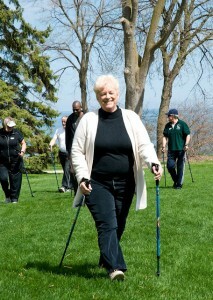 Walking poles can help in engaging large and major muscle groups. When seniors do not use walking poles when they do any walking activities, only less than 50% off the major muscle groups are utilized, but with walking poles, up to 90% of the major muscle groups are utilized.